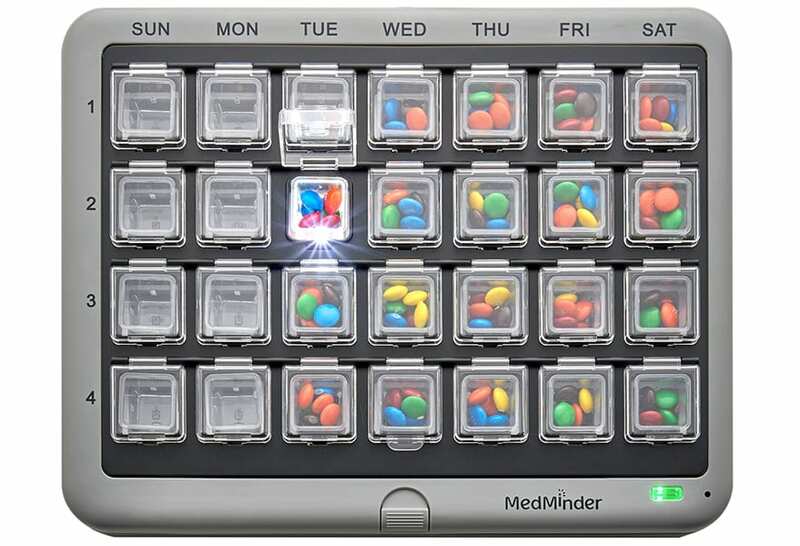 The MedMinder pill dispenser is equipped with wireless technology (internal cellular modem) that updates MedMinder\’s central computer about the patient\’s dosage activity. This information is available online for caregivers who can also receive immediate email or text messages notifications and weekly reports. 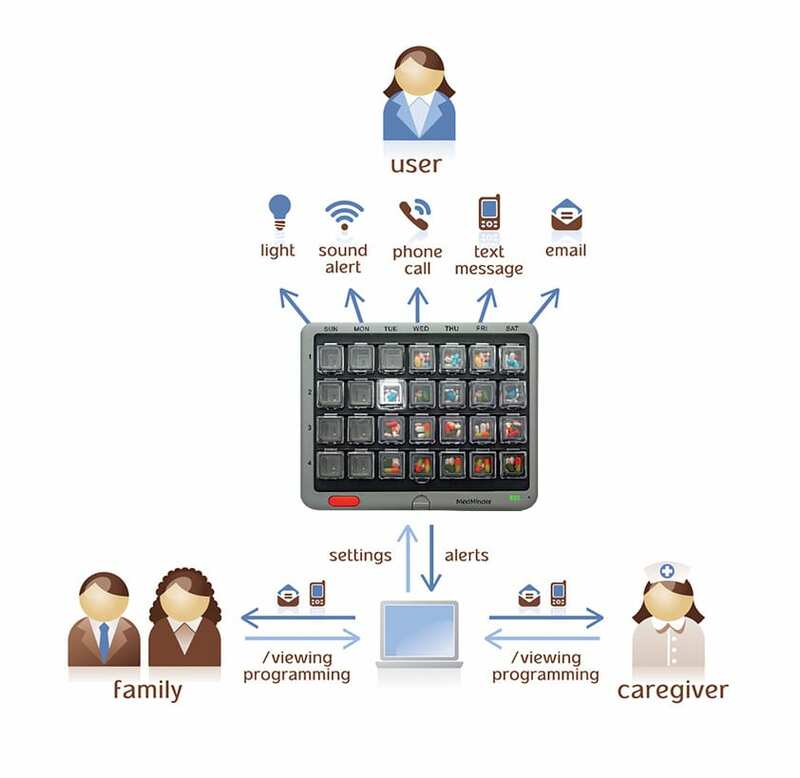 You or your caregiver can easily program the pill dispenser and customize preferences remotely via the Internet. You can also call MedMinder and we will do this for you. At the patient\’s home, there is no need for a computer, phone line, wireless router or any other form of Internet access – all that is required is electricity. 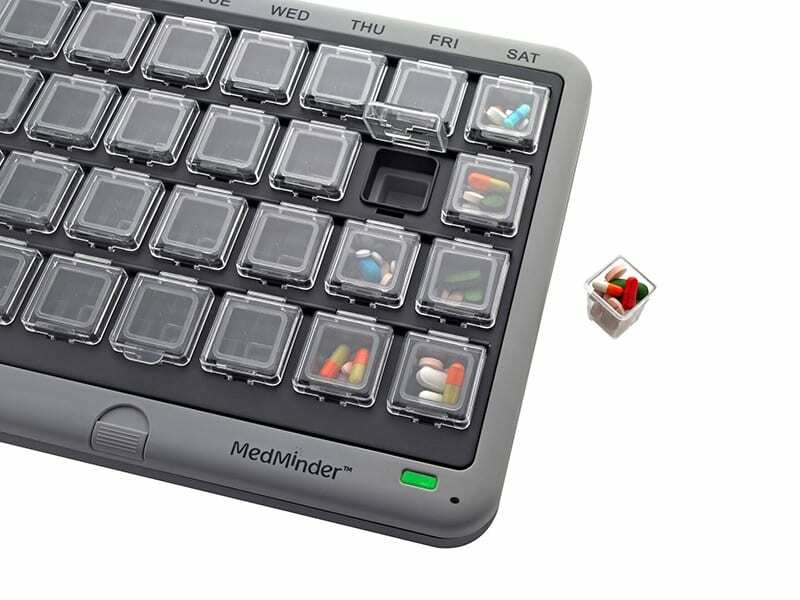 The pill dispenser uses a built-in micro cell phone to connect with MedMinder’s monitoring station. Patient reminders: When it\’s time to take a medication, the appropriate compartment flashes. If the cup is not removed within the assigned time frame, the patient can get auditory prompts as well as optional automatic phone calls, text messages and emails. 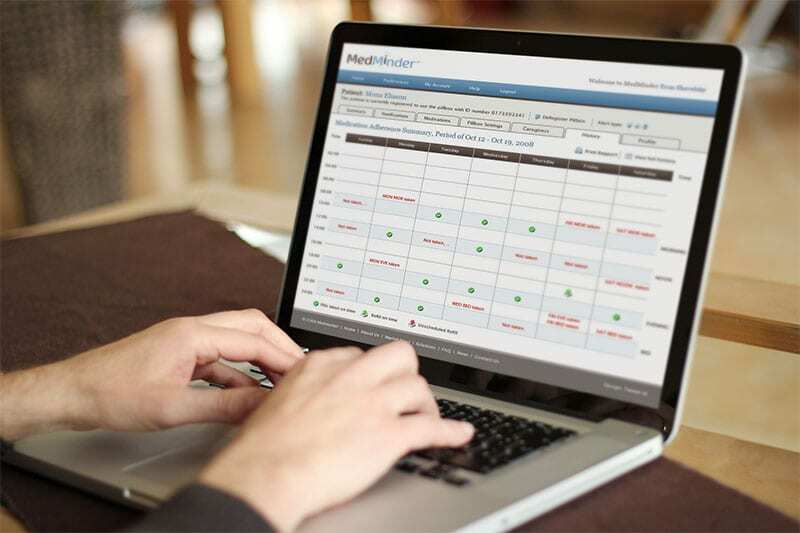 Remote monitoring capabilities: MedMinder keeps records of patient activities. The caregiver can access this information via the Internet or receive real-time email or text message notifications. Weekly email reports are also available. Manual: Simply lifting Maya\’s lid opens all of the 28 compartments, allowing the caregiver or patient to place the medications in the proper cups. 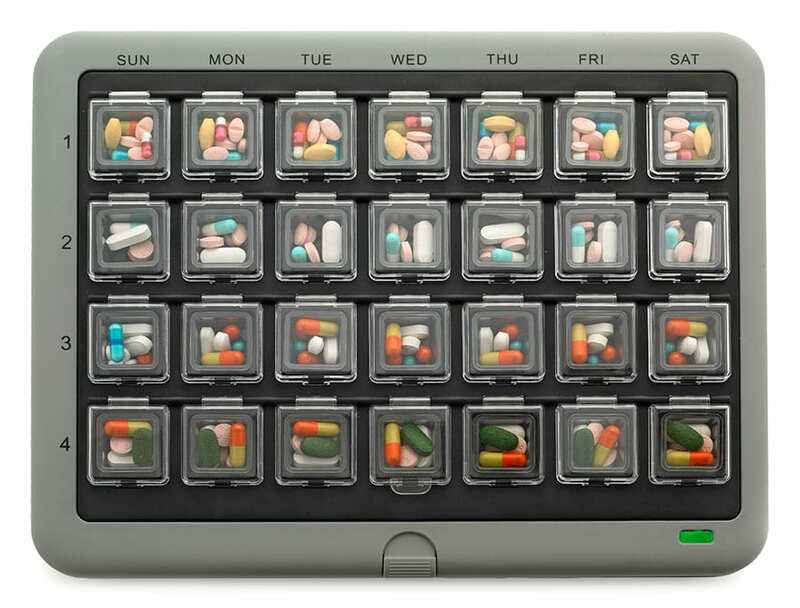 Pre-filled tray: Maya pill dispenser also accepts MedMinder-supplied trays pre-filled by a pharmacist or caregiver. 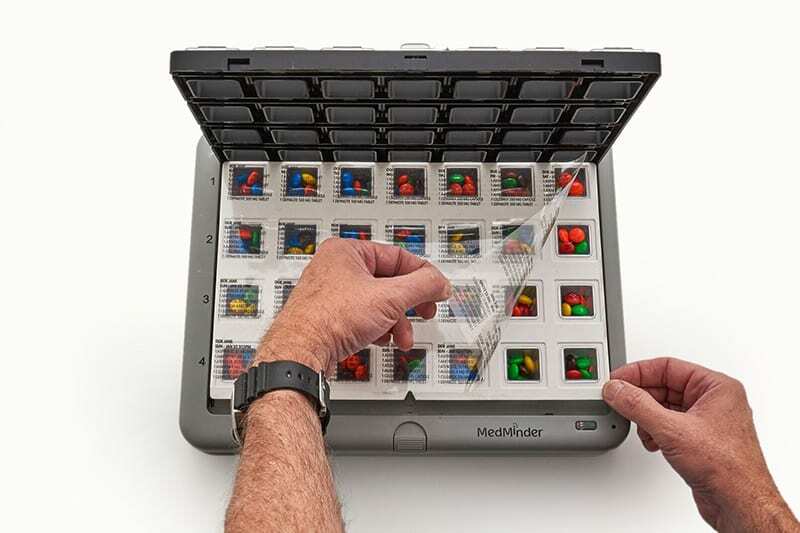 This feature greatly reduces the risk of medication errors and ensures all compartments are correctly filled.